Today we are highlighting the latest, greatest apps to hit the market. We’ll explain what each one does and why it might make an excellent addition to your Ecwid store’s operations. Check them out below! This plugin allows visitors to share items from your store on all the social media sites you’d expect: Facebook, Twitter, Instagram, Pinterest, Tumblr, and so on. The clickable buttons it puts on your page come in multiple color options, and they’re fully responsive, meaning they will look great on a website viewed on any screen. This app is perfect for the store owner who wants to drum up more social media interest in his or her business. This is totally free, so go get it now! Reviews are an integral part of any successful internet shop because they help people feel more comfortable making their purchases. This app makes that review process entirely seamless by automatically sending emails to customers who have recently purchased things from your shop and asks them to review the product. 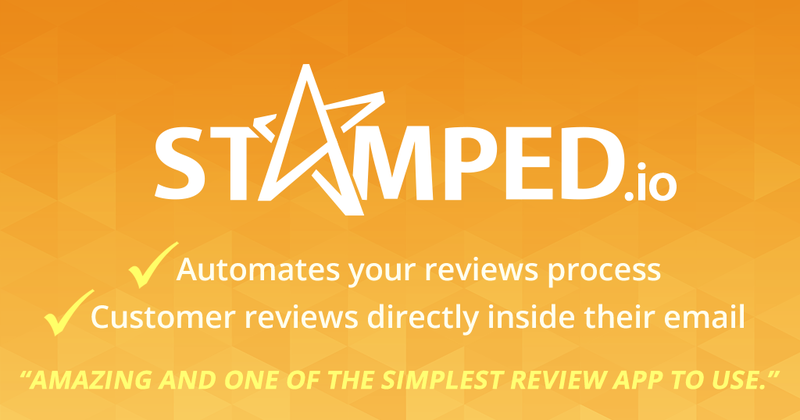 They generate their review by simply responding to the this automated email. The app also bonus features like product recommendations and social sharing functionality. It’s a perfect addition to any store that wants to demonstrate a high level of customer engagement and social proof that its products are worth buying. Pricing: Free to $69.99 / month. This app allows your customers to easily get in touch with your store to handle questions and customer service issues by way of text messaging. Most customers would rather text than call nowadays, and this plugin let them do so as if they were texting a friend. Message Mate can be set up to send these inquiries to your team, so the appropriate party can respond without having to forward an email multiple times until it reaches the right person. This is a great app because it offers convenience to your customers who may have questions that are holding them back from making the purchase. The app is perfect for someone who wishes there were an easy way to welcome messages from customers, whatever those messages may be. Using this app well means you’re in quick conversation with interested customers, and you can more readily secure a sale. You can try it out with a free 14-day trial. 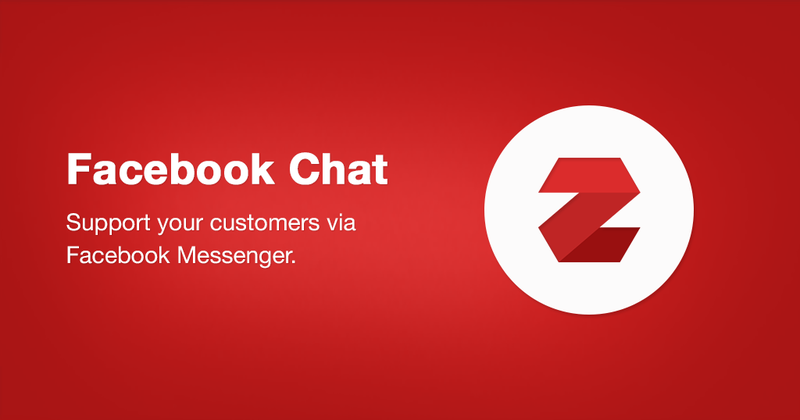 In the same vein as Message Mate, Ecwid’s Facebook Chat app lets customers get in touch with your business through Facebook Messenger. Facebook is nearly ubiquitous; everyone in the connected world uses the social network, and many of them use Facebook’s Messenger app as a primary way to stay in touch with friends. 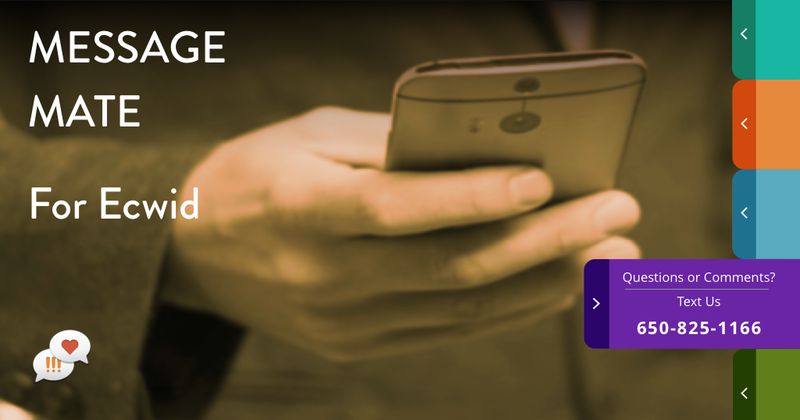 This familiar service will be an at-home way for customers to get in touch with you. Due to the nature of FB Messenger, both you and the customer will have a complete chat history available to look back on if it is needed. Go try it for free! TaxJar is a hardworking app that allows you to automate all the tax-related operations you need in order to run an e-commerce site successfully. 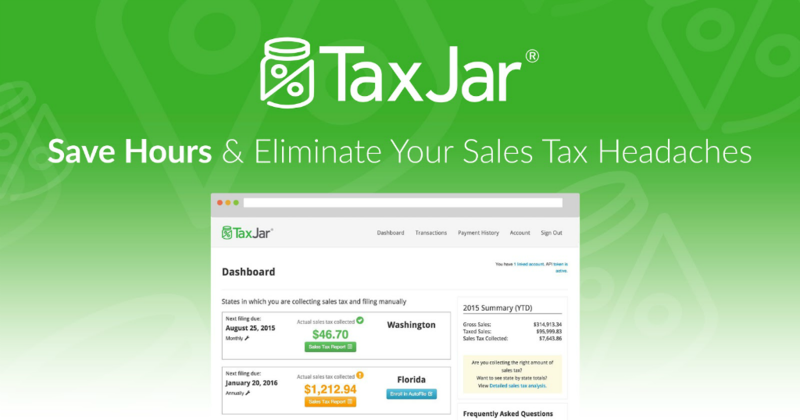 TaxJar automatically handles all sales tax reports, regardless of the state. You can connect it to multiple shopping carts and marketplaces, meaning everything is in one place, even if you run multiple businesses. It will even auto-file your sales tax returns if you want. This is an essential app for anyone who finds themselves spending entirely too much time managing their sales tax headaches. Try a 30-day no-risk free TaxJar trial today! Where do your customers come from? How long do they stay on your website? 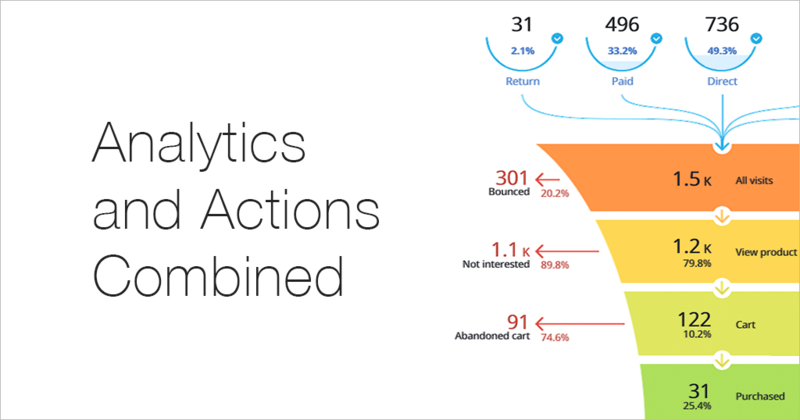 Convead is a powerful analytics app for your store that gives you insights into your sales funnel and allows you to segment customers by almost any parameter. Its widgets are available to collect customer emails, and Convead lets you to create email campaigns directly in the app. Understanding your customer base and being able to create email campaigns quickly and easily are integral parts to successfully promoting your shop. Helpfully enough, Convead can do both. Get going today with a free trial. Ecwid’s e-commerce platform is a powerhouse all its own, but its extensible nature provides real value to anyone looking to sell online. This means you can add features as you see fit, get rid of things you don’t want or need, and thoroughly optimize your business operations. It truly is the last piece of e-commerce software you need, because it remains changeable and flexible thanks to the developers that continue to work on expanding its capabilities. Happy selling! Go try out some apps!